Why don’t freelancers and contractors take sick days? Is it because they lose out on their day rate? Is it because they are simply super-human workers? Contractors overall often behave very similarly to entrepreneurs. They feel that it is their responsibility to get the work done and achieve the results regardless of their current condition while full-time employees often feel that it is their right to have sick leave and others in the team will pull the weight during that time. 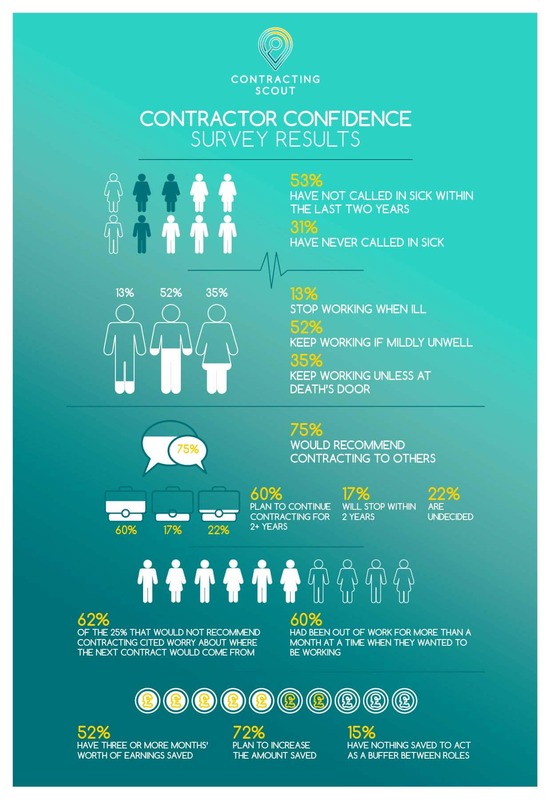 The perception of sick leave is often completely different compared to permanent employees. As a downside, this can lead to unwanted long-term consequences such as burnout and other health issues. Contractors know that taking a holiday isn’t just a flight/hotel/spending-money cost but a non-earning period too whereas permanent employees feel they’ve ‘earned’ their time off and will avoid working during those two weeks in the sun however possible! Having managed teams across Europe I was always amused at some employee-friendly nations where permanent staff felt compelled to ‘take their contracted sick-leave’ as if it were additional holiday days! This concept is totally alien for the contracting workforce! This debate defines well the “Opportunity : Cost” scenario – it it worth a day in bed to lose £500? ‘I think one of the things to consider here is the true definition of what a ‘sick’ day actually is, which we know can actually have many meanings. ‘Interview’ day, ‘Hangover’ day, ‘I’ve simply had enough’ day. But for a contractor it’s much clearer. The first definition is quite clearly ‘Unpaid’ day and you can imagine that money has a brilliant placebo effect on constitution. I’d love to see statistics that correlate ‘Fever’ to ‘Picking up the phone’ ratings. e.g. “The Average Full Time Employee is more likely to pick up the phone 2.3 Degrees lower than a contractor.” Then we’ve got ourselves some stats. There must be an app for that.